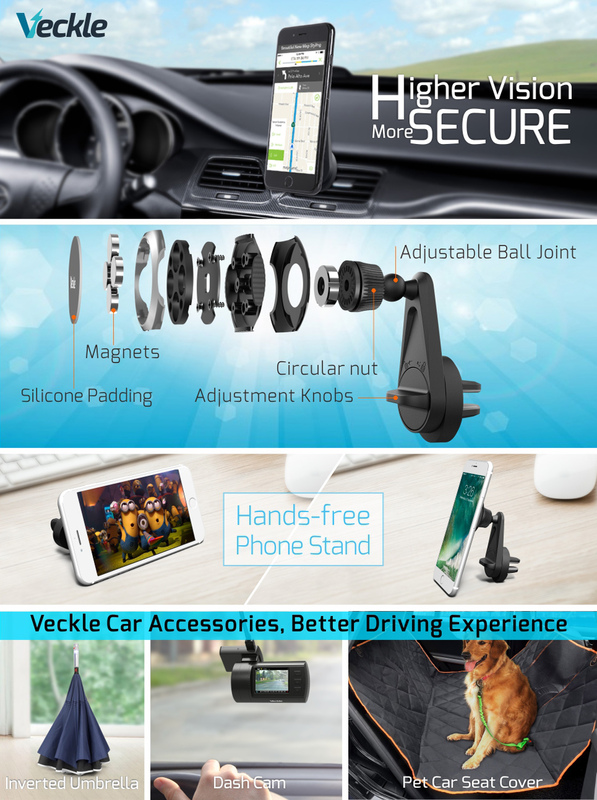 Why Choose Magnetic Car Phone Holder? 4. The closure magnetic field will do no harm to your device and keep your device safe. The other circular nut tightens the faceplate that holds devices into the position you want. Adjust any view angle as you want, freely switch not only vertical and horizontal view. 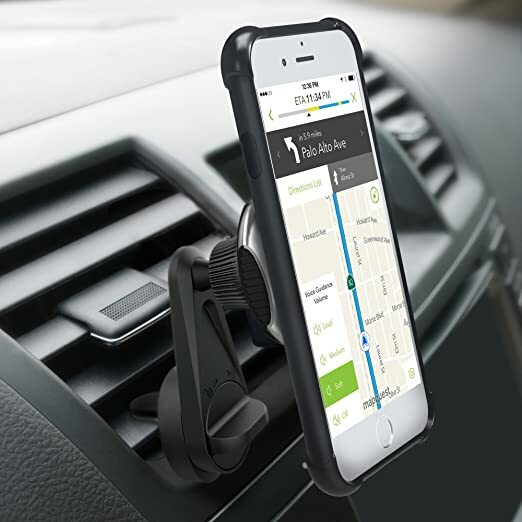 The air vent car mount will not block your view. Keep driving safe. 1. Only fits with vertical and horizontal straight air vent. Please refer to the product picture for more details. 2. Please remove the metal plates before using wireless charging. 3. Thicker phone cases may interfere with magnetism. 4. You can stick the metal plates on the back of your phone or stick to the phone case.